And here it is! 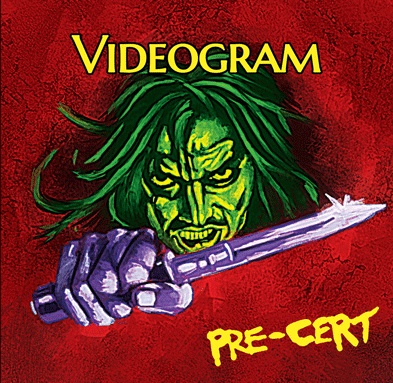 I am stoked to announce that Cineploit are now taking pre-orders for the Pre-Cert LP/CD! Thirteen tracks in total, the album sees an expansion and improvement of the themes from my 2014 S/T album and features tributes to occult horror, Friday the 13th, Italian erotica, Cannon Films, post-apocalyptic action, cannibal freakouts and more! The LP comes with a gatefold sleeve and is pressed on quality 180g solid black vinyl, the CD comes with a LP-style wallet, and there's a LP/CD combo available if you act fast! CDs are €10/$12, LPs are €17/$20, and the LP/CD combo is available for €18/$21, plus postage. Order yours on Cineploit's official website here or via their Facebook. For a teaser taste of what to expect, give the album a spin on my official SoundCloud page.